The UK's chief drugs adviser has been sacked by Home Secretary Alan Johnson, after criticising government policies. He accused ministers of devaluing and distorting evidence and said drugs classification was being politicised. The home secretary said he had "lost confidence" in his advice and asked him to step down. The Advisory Council on the Misuse of Drugs (ACMD) is the UK's official drugs advisory body. Following his sacking, Prof Nutt told the BBC he stood by his claim that cannabis should not be a Class B drug, based on its effects. He described his sacking as a "serious challenge to the value of science in relation to the government". And he denied that he had been trying to undermine the government's policies on drugs. "I am disappointed because, to be honest, all I was trying to do was help. I wasn't challenging the government," said the former adviser. "We can help them. We can give them very good advice, and it would be much more simpler if they took that advice rather than getting tangled up in other sorts of messages which frankly really do confuse the public." Prof Nutt said he was not prepared to "mislead" the public about the effects of drugs in order to convey a moral "message" on the government's behalf. Earlier this week Prof Nutt used a lecture at King's College, London, to attack what he called the "artificial" separation of alcohol and tobacco from illegal drugs. The professor said smoking cannabis created only a "relatively small risk" of psychotic illness. 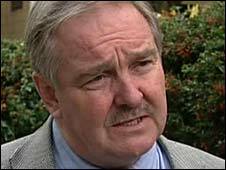 Phil Willis MP, chairman of the science and technology select committee, said he would write to the home secretary to ask for clarification as to why Prof David Nutt had been sacked "at a time when independent scientific advice to government is essential". "It is disturbing if an independent scientist should be removed for reporting sound scientific advice," he said. Public concern over the links between high-strength cannabis, known as skunk, and mental illness led the government to reclassify cannabis to Class B last year. In the past, Prof Nutt has also claimed that taking ecstasy is no more dangerous than riding a horse. In a letter, the home secretary wrote: "I cannot have public confusion between scientific advice and policy and have therefore lost confidence in your ability to advise me as chair of the ACMD. "I would therefore ask you to step down from the Council with immediate effect." In his reply, Prof Nutt said he was "disappointed" by the sentiments expressed by Mr Johnson. He added: "Whilst I accept that there is a distinction between scientific advice and government policy there is clearly a degree of overlap. "If scientists are not allowed to engage in the debate at this interface then you devalue their contribution to policy making and undermine a major source of carefully considered and evidence-based advice." Shadow home secretary Chris Grayling said the sacking had been "an inevitable decision" after Prof Nutt's "latest ill-judged contribution to the debate". But Liberal Democrat home affairs spokesman Chris Huhne said the decision to sack the adviser had been "disgraceful". "What is the point of having independent scientific advice if as soon as you get some advice that you don't like, you sack the person who has given it to you?" he said. Mr Huhne said if the government did not want to take expert scientific advice, it might as well have "a committee of tabloid newspaper editors to advise on drugs policy". Similarly, Claudia Rubin from Release - a national centre of expertise on drugs and drugs law - said the expert should not have been penalised. "It's a real shame and a real indictment of the government's refusal to take any proper advice on this subject," she said. And Prof Colin Blakemore, professor of neuroscience at Oxford University and former chief executive of the Medical Research Council, said the government could not expect experts who serve on its independent committees not to voice their concern if the advice they give is rejected. "I worry that the dismissal of Prof Nutt will discourage academic and clinical experts from offering their knowledge and time to help the government in the future," he said. Possession of Class B drugs carries a maximum sentence of five years in jail while possession of Class C drugs carries a maximum sentence of two years imprisonment. In 2004, then Home Secretary David Blunkett had approved the reclassification of cannabis from Class B - which it had been since 1971 - to Class C.
But in 2008, Jacqui Smith announced that she would reverse the 2004 decision and put cannabis back into category B. The decision was taken despite official advisers recommending against the change. Ministers said they wanted to make the move as a precautionary measure.